Jason Flynn received his B.A. from Rutgers University and his J.D. from the Benjamin N. Cardozo School of Law (2000). Mr. Flynn is admitted to practice in New Jersey and New York. While at Cardozo, he spent a semester as a legal intern for the Honorable John W. Bissell, a Federal District Judge, District of New Jersey. After graduation, Jason began his career as an international tax and compensation consultant at Ernst & Young, LLP in New York City. Jason taught business law courses at New York Institute of Technology’s School of Management in Manhattan. Prior to launching his private practice law firm in 2009, Jason was the Director of Legal and Corporate Research at Business Licenses, LLC, in Airmont, New York. Mr. Flynn is available to present seminars on varying family and estate planning matters. Mr. Flynn provides pro-bono counsel services for Partners for Women and Justice. These services have included handling complex domestic violence restraining order trials. Mr. Flynn is a court approved Mediator in family law matters. 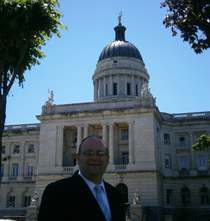 He has completed New Jersey’s required forty hours of training in the area of mediation. He is available to mediate family law matters, for divorce or post-divorce issues, regardless of whether the areas of disagreement are finance or custody related, or both. Jason is the Founder and President of a growing local lawyers networking group, focusing on solo and small firm professionals that has grown to about forty active participants. This network ensures that our valued clients will have all their potential legal issues covered, as we often add “of counsel” relationships to our clients’ cases, to handle other areas of the law for which a particular client requires assistance. Mr. Flynn lives in East Brunswick, New Jersey, with his wife and four children. He is an active member of various community organizations. When he is not practicing law, he is often found at a practice field – coaching his youth baseball, soccer or basketball squads. 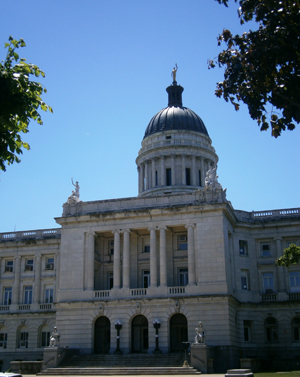 Ranked by Super Lawyers as among the best of New Jersey lawyers. Website Powered by Flashmade, Inc.